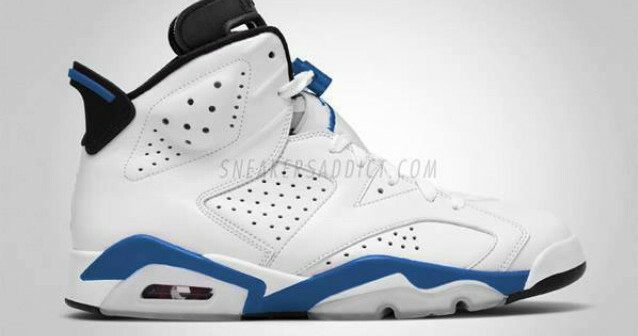 Home Sneakers Rumor: Air Jordan 6 “September Blue” to Retro in 2014 ? Rumor: Air Jordan 6 “September Blue” to Retro in 2014 ? 2014 might seem too good to be true with all of the Air Jordan VI Retro’s scheduled, but there’s one particular colorway that comes to mind that hasn’t seen the light of day since 1991. According to sources, We might be seeing these Air Jordan VI retro for the first time ever – Brings us back to the Bordeaux Buzz of 2011. With the Air Jordan VI “White Infrared” returning (Not in a Pack), One can only imagine what else Jordan Brand has in store for next year. Let us know if you’d like these release!